One can experience every note of sound with the uniquely conceived home theatre system; HT-RT3. 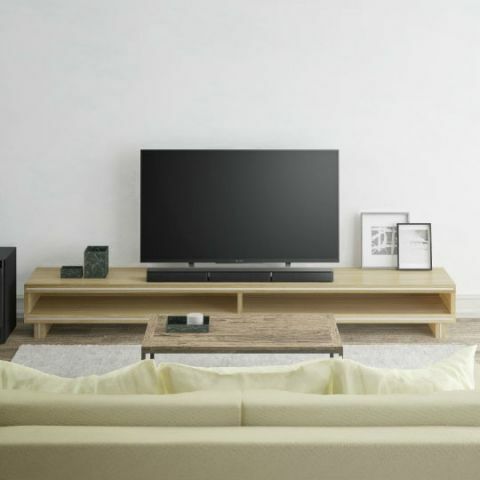 Backed with surround sound bar system from Sony, the compact HT - RT3 makes cinema watching a reality for many consumers. Making up for an audio treat, the 5.1channel Real surround sound creates an experience delivering a phenomenal 600W of power through multi-angled and rear speakers. The dedicated external subwoofer works with a 3channelSoundbar delivering true theatre surround sound. The two rear speakers ensure the delivery of a balanced, wide frequency audio response. Equipped with S-Master Digital Amplifier, the HT-RT3 produces only the purest sound quality by minimizing distortion. The HT- RT3 comes with a USB, HDMI-out x 1 and can be flawlessly synched with BRAVIA TVs. Next in line is the 2.1 channel Wireless Sound Bar HT-CT390 a perfect companion for enjoying movies and music. A 300 W power output fills the room, while a wireless subwoofer adds depth for resounding bass lines. Drivers at each end of sound bar deliver a clear mid and high range, and a wireless subwoofer fills in the rumbling lows. The S-Force Front Surround emulates theatre style surround sound and the wireless subwoofer delivers hard-hitting bass for soundtracks. The HT-CT390’s slim 2" (5.2 cm) profile is sleek and stylish and perfectly amalgamates with the entire home theatre setup. Home theater mount position !